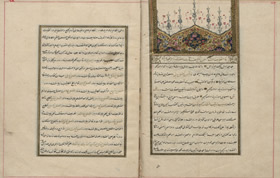 During the late 17th and early 18th centuries, Ottoman scribes, working in different bureaucratic departments of the Ottoman state, became increasingly visible in the political, diplomatic and intellectual life of the empire as members of a distinct cultural community. The rise of the Ottoman scribal elites - the "people of pen" (kalem ehli) - and posed a significant challenge to the at least two-century-long ascendancy of the military corps in Ottoman politics and central administration. For the Ottoman Empire and earlier Islamic states, the term "scribal elites" denotes the men who produced the government's correspondences, kept its financial accounts and compiled its records on land tenure. By the eighteenth century, the scribes had already formed one branch of a 'ruling class' that also included the military, the Islamic religious establishment, and the palace service. 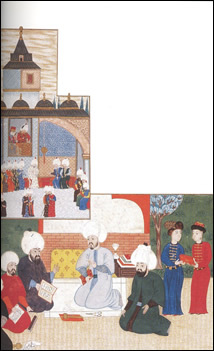 Contrary to the accepted scholarly opinion which associates the rising dominance of the Ottoman scribal community in Ottoman bureaucracy solely with the Ottoman will to westernize in the face of an imminent decline, the late 17th-century history of the kalemiye should be analyzed in the larger context of the Islamic scribal traditions, by taking into consideration the Ottoman bureaucracy's conversation with these long-standing Islamic scribal ideals and practices. Only through such retrospection, one can appreciate the processes which brought the Ottoman bureaucratic structure into maturation in the 18th and 19th centuries. Rami Mehmed (1654-1708) – chief of the scribes and one-time grand vizier – and the scribal networks around him is a critical figure in this respect. The late 17th and early 18th-century Ottoman chronicles, various European accounts, and the Ottoman biographical collections all point out to the fact that the appointment of a katib as grand-vizier and his eventual dismissal startled the Ottoman political establishment considerably. In order to understand the political dynamics, which so unexpectedly benefitted Rami Mehmed and his kinsmen in this period, this dissertation carries out an analysis of scribal networks, not in the strict sense as used in the applications of historical sociology, but as networks of people, practices and ideas woven in this very period. Different literary products all penned by Ottoman scribes during the course of the 17th and early 18th century– works of prose and poetry, biographical compendia of poets and calligraphers, manuals on epistolography, treatises on the art of writing and book-keeping– are the main sources used in order to reconstruct the intellectual landscape of the period in question. Likewise archival sources including appointment petitions, lists of current office holders, the correspondences between different bureaucratic departments, and other documents related to the distribution of duties and personnel are helpful in understanding the socio-economic background of the bureaucratic boom that fully materialized in the 18th century. 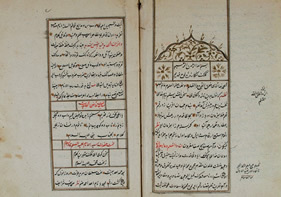 The introductory pages of Rami Mehmed Efendi’s Hulasa-yi İnşa, Istanbul Universitesi Kutuphanesi Nadir Eserler, T5492. An excerpt from Şa'banzade Muhammed Muhteşem b. Hurrem el-Bosnevi’s Risale-i Tig ve Kalem, ( 1104/1693), Süleymaniye Yazma Eserler Kütüphanesi, Esad Efendi 2719.